India's $2 trillion economy just got its biggest tax reform since the country became independent in 1947. Prime Minister Narendra Modi launched a new system of taxes Saturday, an overhaul 10 years in the making that will turn the country of 1.3 billion people into one market for goods and services for the first time. The new Goods and Services Tax replaces more than a dozen central and state tariffs, duties and fees levied -- often at different rates across India's 29 states -- on nearly everything sold in the country. Beginning Saturday, all goods and services will be placed in one of five different tax brackets -- from 0% for most agricultural and food products to 28% for items like jewelry and large electronic appliances. Each product will now attract a single tax rate across the country, at a stroke removing the long delays faced by truck drivers at every state border where they've had to complete multiple forms and pay officials. "We should be looking at this as a really big positive," said Shilan Shah, India economist at research firm Capital Economics. The reform will "boost trade among different states, which will help lift domestic demand," he added. The International Monetary Fund forecasts that the GST will eventually lift India's gross domestic product growth back above 8%. It slipped to 6.1% last quarter following the country's massive cash ban last year. Oxford Economics estimates that the reform could add 0.6% to India's annual growth rate over the next 15 years. 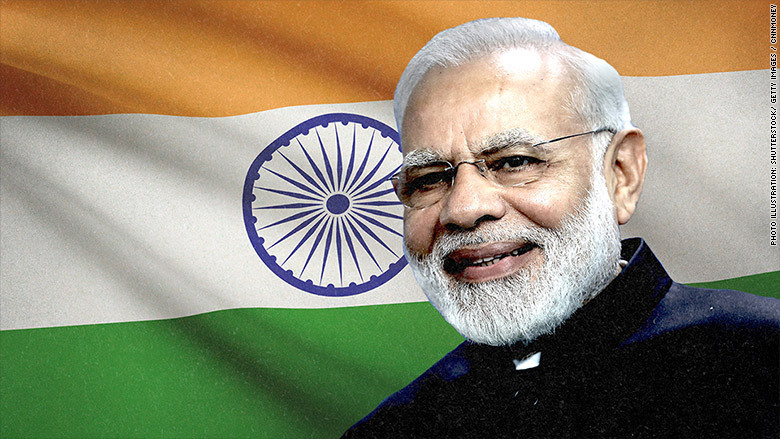 "It should also go a long way in reviving investors' confidence in Modi's series of 'big-bang' reforms," noted Priyanka Kishore, lead Asia economist at Oxford Economics. During a visit to the U.S. last week, Modi wrote in the Wall Street Journal that a "unified, continent-sized" Indian market would make it much easier for foreign businesses to invest. There's little doubt about the long term benefit of the tax reform. However, the rollout could be chaotic. Several opposition parties planned to boycott a midnight parliamentary session to launch the tax, saying the government has not allowed enough time to prepare for the changes. There's also been protests from traders across states and industries, unhappy with the tax rates applied to their goods. They also complain they haven't been given enough time to comply with the new system. "It is likely that large parts of India will still not be ready," wrote Eurasia Group South Asia analysts Shailesh Kumar and Sasha Riser-Kositsky in a research note. "Both from the side of the taxpayers and the government, there is going to be a learning curve," Pronab Sen, the former chief statistician of India and current head of the International Growth Centre's operations in the country, told CNNMoney. The days leading up to the introduction of the GST saw chaos of another kind, with Indians rushing to stores across the country to snap up products in anticipation that prices could rise. 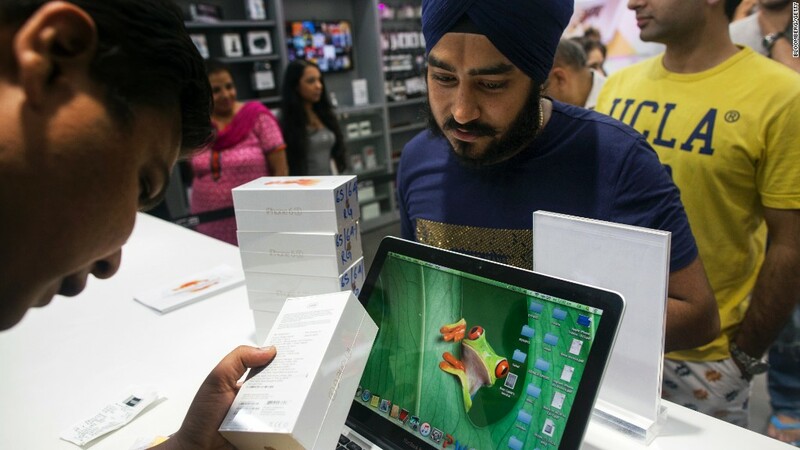 Rakesh Arora, the owner of an electronics outlet in India's capital New Delhi, said business had boomed in recent weeks. "People are afraid that they will have to pay a few more thousand rupees on the electronic products now so our [air conditioners], TVs and refrigerators are going out," he added. Local resident Rakesh Chawla was on the fence about buying a new television, but said he "expedited" his purchase before the new tax system kicks in. Despite the uncertainty, experts say now is as good a time as any to forge ahead. "At some stage you just have to push the system out of the gate and then sink or swim," Sen said.